This architecturally exquisite Tudor Dynasty Fireplace Mantel is the ultimate statement of luxury. Beautiful arched opening with timeless details carved in natural Beige Sandstone. This is a custom fireplace mantel facing in the Gothic Tudor style. 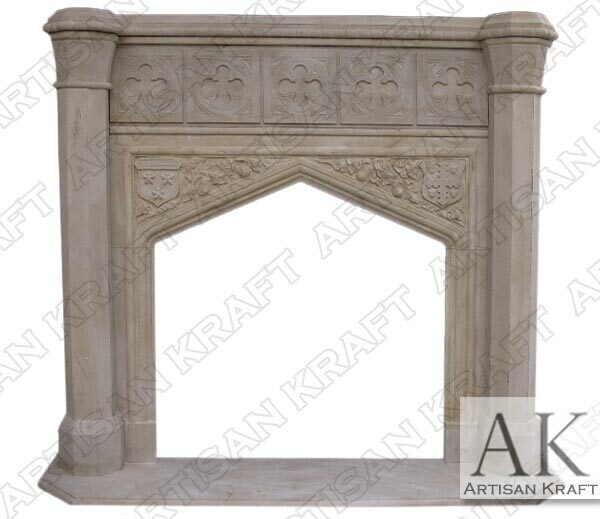 View our huge selection of Tudor Mantels and Gothic Fireplaces.